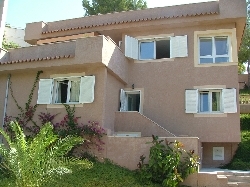 VILLAS AND APARTMENTS TO RENT IN MALLORCA, SPAIN. 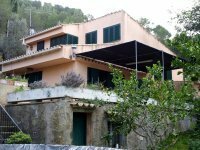 Welcome to our selection of holiday homes to rent in Mallorca, Spain. Mallorca (or Majorca) is a Mediterranean island known for its stunning natural beauty. In recent times Mallorca has reinvented itself with an emphasis on more upmarket tourism with visitors encouraged to explore the island's beautiful coastline and interior. Puerto Pollensa is one of Mallorcas most popular destinations and lies on the beautiful bay of Pollensa in the very north eastern corner of Mallorca. With its sandy beach, beautiful scenery and fine tourist infrastructure it has long been a popular destination especially amongst British holidaymakers. Looking for self catering holiday accommodation in Mallorca? Then below is a selection of holiday apartments in Mallorca and holiday villas in Mallorca that can be rented direct from their owners. You can either click on each listing for further details or you can use our search engine on the left if you are looking for something in particular.